Bleeurrgh! 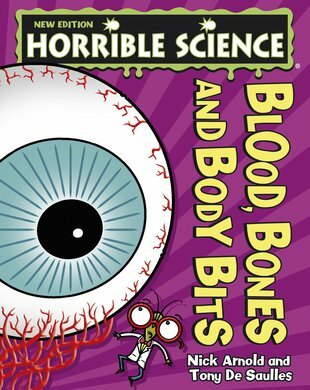 Blood, bones, brains and body bits. A bone-chilling book of bodies to make you squeal! Peek inside to discover all the squishy secrets of your body – especially the nasty and disgusting bits your teacher was too squeamish to explain! That’s why they call this HORRIBLE science! Find out what happens when a boil bursts. See which mini-beasts live inside your eyelashes. Find out where your dinner goes after you eat it. And – aaaaargggh! – discover why corpses need haircuts even after they’re dead. Warning! It’s NOT for the nervous! Colour in this great picture of a hippo with enormous teeth! What do caterpillars turn into? Join up the dots to find out, then colour it in. Download this cool Horrible Science wallpaper for your PC. Slimy Horrible Science wallpaper for you to download! Can you find all the words in this African puzzle?